Potty Training….Was it a hit or miss? Once Alice hit two, everyone was asking me when I would be potty training Alice. I’m not sure why…there are no rules around when you should potty train your toddler, it’s when it’s right for you and more importantly the right time for your little person. As it was approaching Christmas I thought maybe that would be a good time to start, Andy would be home to help. So, I read a few books and blogs, and got an idea on how to tackle it. I brought a potty and put it next to the bath to encourage Alice to sit on it…she never used it! We took Alice shopping to buy some underwear, she picked some Peppa Pig ones and she couldn’t wait to wear them. 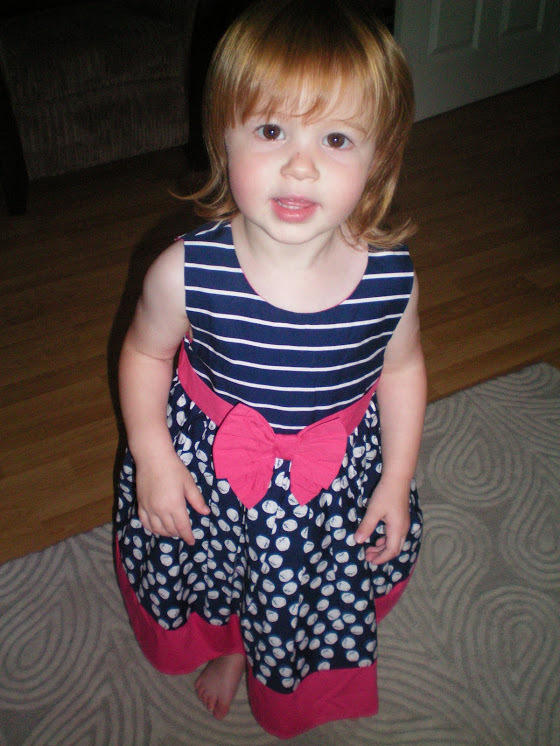 What I didn’t expect, was the minute we stepped through the front door, she wanted to wear her Peppa Pig knickers NOW….I hadn’t planned for this, nothing was ready! But, I was so worried that if I said ‘no’, it would be a negative experience and I had read so much about making it a positive experience, I just decided I would have to go with it. She loved wearing them, but when she needed the toilet, she did not want to go near the potty. So, I decided as I wasn’t ready to start now and clearly Alice wasn’t ready, we would stop. Now, you will read lots of things about not stopping, just to keep ploughing on, but I disagree if your child isn’t ready why would you plough on? It’s going to be a struggle for you both, there will be a lot of accidents and it will probably take a lot longer to get them dry…. Fast forward to February and I thought we would try again, at this point Alice had not once used her potty, but that wasn’t going to stop me having a go. She had started preschool for two mornings a week and I thought that maybe seeing her friends use the toilet would help…!!! The potty was still in the same place, I had bed mats under throws on my sofa, I had sticker charts and I had a lot of knickers….I told myself that no matter what happened, I would give it a week before giving up!! I planned a week at home, with visits from family and friends…I was ready for it this time! Here is how our week went! We started at the weekend, so I had Andy to help. We had a couple of successes and a couple of accidents, we even made it to the park on Sunday and no accidents! Andy went off to work and I was on my own. Alice was at preschool in the morning and I picked her up at 11.30 to be told she had no accidents…I walked away thinking this was brilliant. We chatted on our walk home about going to the toilet at preschool and Alice said ‘but mum I haven’t been to the toilet, I didn’t need to go’. Oh…she may not have had any accidents, but she didn’t actually use the toilet!!. The rest of the day was tough, Holly was six months old and I had my hands full! I would just get Holly to sleep and Alice would scream ‘I need a wee’, Holly would be disturbed while I rushed Alice to the potty…..only for Alice not to go! My mum and niece came, who was four at the time…maybe seeing her cousin use the toilet would crack it or Alice would do it for nanny!!!! It was a crazy day and Alice was not bothered that Ruby went on the toilet, she didn’t care that nanny would be so proud of her if she went on the potty! Towards the end of the day, Alice had an accident, she was soaked and hated it. But, I mopped it up, put on clean clothes and told her that it really didn’t matter. It had been a long day and as I sat down with Andy that night, I just didn’t know what to do. Andy said to stop and wait until he could take some time off work to help out. But, I had told myself I would give it a week and that was what I was going to do…I ploughed on! At last, we had some success! During the night (while feeding Holly), I read about where you put the potty can have a real affect on the success of potty training. They need to feel comfortable using it and whilst we are comfortable in the toilet, toddlers aren’t, they only go in there to watch you have a wee!!!! So, I moved the potty to the lounge and positioned it so I could flick the TV on when she wanted to go…thinking a distraction may help?? It worked, Alice used the potty all day and we had no accidents (hooray!). A day with no accidents…! We had been invited to soft play with some friends and as we had two days of success and cabin fever was really setting in. I thought I would go for it, what’s the worse that can happen….we survived, with no accidents. My planned week of potty training came to an end and things were going well, so, I carried on…Alice continued to have no accidents at all, she totally got it! After ten days, I moved the potty into the toilet and then removed the potty and Alice used her Frozen toilet seat…yes, she picked the toilet seat…but, it worked, so you won’t hear me complaining!